The National Reconciliation Party (NRP) supports President Adama Barrow to go for five (5) as oppose to the 3 years. Hamat NK Bah Secretary General and party leader of the National Reconciliation Party (NRP) said that, there will be no election within three years until went the five year is completed in 2021. Bah said what the coalition agrees on was not mandated but what the constitution says is what matters to the people. The veteran politician said the Constitution is supreme and has power over everyone and that if the constitution is saying five years then so be it, “there will be no election”. Bah stressed. Ye NRP strong man and minister of Tourism noted that, this government is the regime of reforms. He told the journalists that this government is here to change all he bad laws made by the former regime. He charged that all should play a role in making the Barrow government a success. Hamat emphasizes that, this government is not leaving until the five-year had end and there is no place for election until the term is completed as per the constitution of the land. 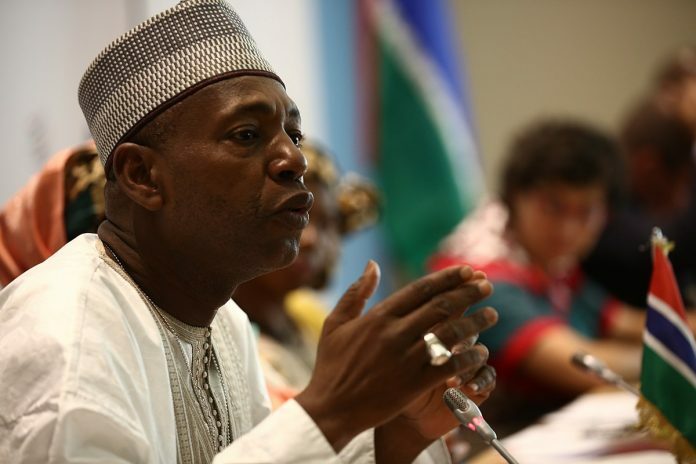 Musa Sonko deputy party leader of NRP said that, his party is a core founded of the coalition that all Gambians are proud of now. This he said was a difficult moment during Jammeh’s era for them to take up the lead. 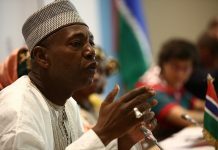 He like Hamat Bah told the media that as a party that part is part of the coalition government, are in full support of the President Barrow agenda and development plans.